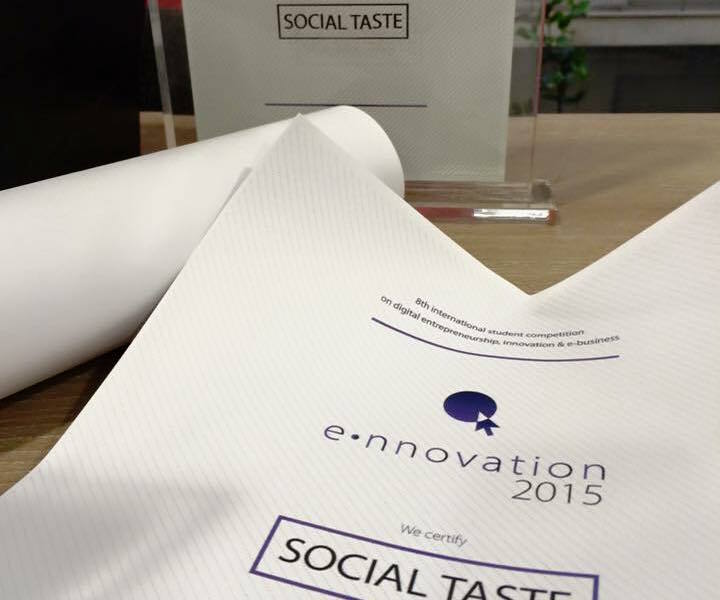 Social Taste | e-nnovation 2015, Best e-Business Award for Social Taste! The Innovation 2015 awards were presented during a wonderful event, organized by the ACEin (Athens Centre for Entrepreneurship), hosting besides the award ceremony, a number of complementing events and workshops. 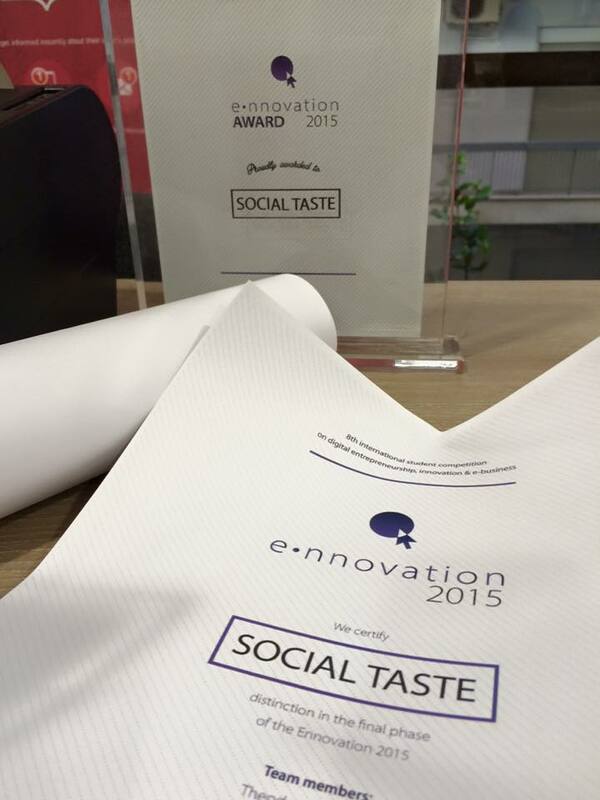 Social Taste, went under thorough evaluation by the competition committee in 3 separate phases (preliminary, semi-final and final) and was awarded with the “Best E-Business Award”, the most appropriate award for it’s services. This award, comes as a recognition for the hard job that has been done in the platform by Social Taste’s team, in an important milestone for the project, as it currently publishes it’s new website and model of services and is getting prepared to expand in the global market.